We have a bunch of announcements for you today, including new software – all for free! The KRONOS Editor version 3.0 adds support for the new features of KRONOS system version 3.0, including the updated SGX-2, vintage effects, enhanced Set List, new Global parameters, new freedom of HD-1/EXi type assignment for INT Program Banks, and the ability to edit Programs in the context of Combinations and Songs. The KRONOS Editor/Plug-In Editor 3.0.0 requires KRONOS System Version 3.0.3 or later. KRONOS System version 3.0.3 adds a number of new features, including the support for the KRONOS Editor and Plug-in Editor 3 software, the ability to automatically remap factory Program references in sound files created for the original KRONOS and KRONOS X, and Slot transposition display in Set List mode. In addition to these new features, the update includes various improvements and important resolutions to specific operational issues. We recommend that all KRONOS, KRONOS X and new KRONOS(KRONOS 2) users update to version 3.0.3. This update may be installed on any KRONOS, regardless of the currently installed system version; it is not necessary to install intermediate upgrades first. This application, provided for both Windows and Mac OS X, will update the new KRONOS (KRONOS 2) Sub-System Firmware. Note: Sub-System Version 1.08 (V01R08) is only available for the New KRONOS (KRONOS 2) production model. It can NOT be used for the KRONOS and KRONOS X production models. – In very rare cases, when performing a USB MIDI data dump or using USB audio between the new KRONOS and an external computer, noises or glitches might have been heard in the KRONOS audio output. This has now been fixed. – In very rare cases, an operational error might have occurred, resulting in the following message: “A problem has been detected, which may have been caused by cycling power too quickly.” This has now been fixed. 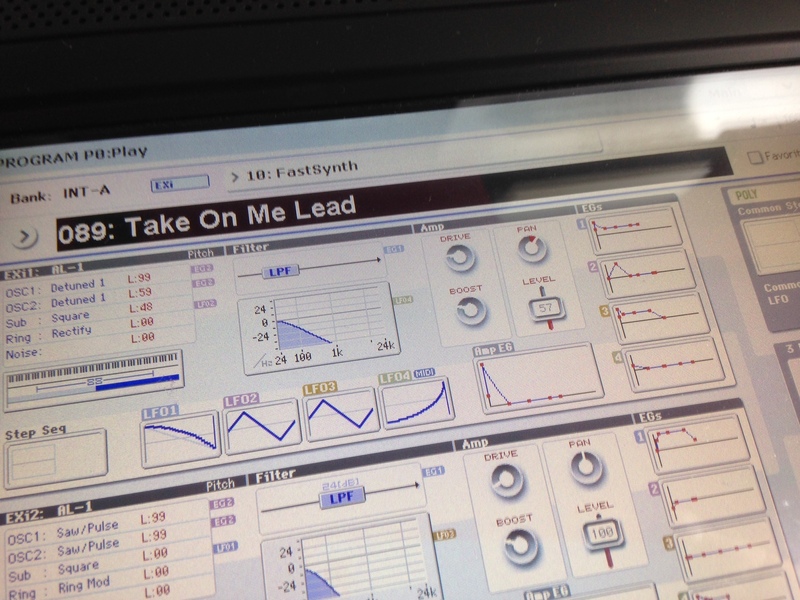 All of the above are free for all registered users, and are available for download from https://shop.korg.com/kronos/Support in the sections “Software” (for the Editor update) and “Operating System” (for the KRONOS updates).